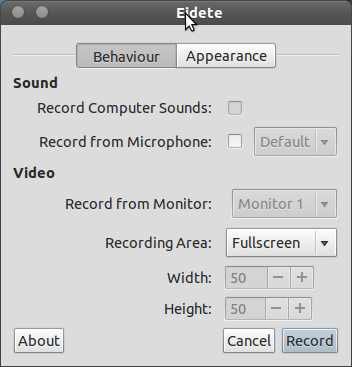 For Ubuntu 11.10 (Oneiric Ocelot) or 12.04 (Precise Pangolin, right now, only alpha version is available) LTS there are lot of ways to record desktop – to create screencast. Some of the most popular applications include – xvidcap, Tibesti, RecordMyDesktop, Kazam etc. Screencasting has become a very popular medium for delivering tutorials, so it must record screen without any lagging or distortion, and of course the HD quality should be supported. In this post I’ve described two popular tools – out of which first one is only for Gnome Shell users while second one will work with most of the Gnu/Linux distributions. If you’re using Gnome Shell Desktop rather then the default one which is unity, then you can start capturing your screen without any extra software – because it’s a built in feature. Just hit Ctrl+Shift+Alt+r and start capturing your screen. You will notice an indicating red dot in bottom right corner. To stop recording, press the same keys again. The output file will be saved in ~/shell-*.webm , but there is one problem! it won’t record any audio. But you can fix that by recording the voice simultaneously using Sound Recorder (installed by default) and finally merge he Audio and captured screen video using OpenShot (or any other video editor of your choice). 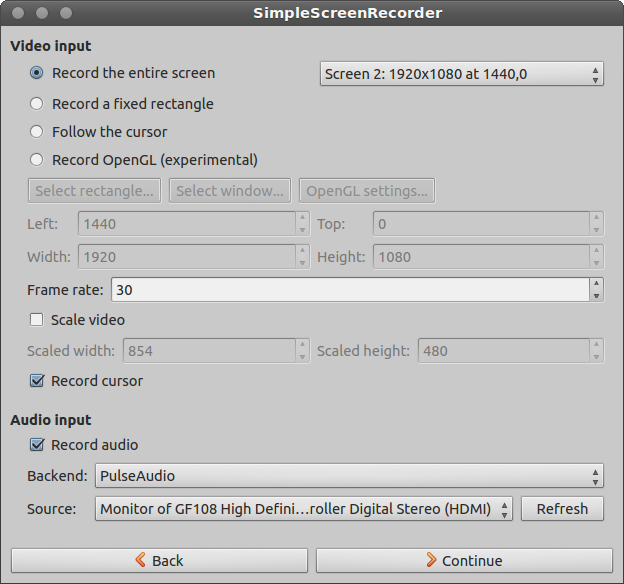 recordMyDesktop (or Desktop Recorder) is a simple and easy to use screencasting software for Ubuntu or other GNU/Linux distributions which are based on Gnome or KDE desktop. The core program is written in C language – it’s a command line tool for recording screen, while the UI has been implemented in two ways – One Python based (pyGTK) for Gnome users while other one is Qt (pyQt4) based for KDE desktop users. 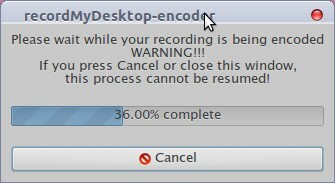 recordMyDesktop is a free software and uses only open formats such as ogg for audio and theora for video. It has a lot of features and options to customize the recording and other settings, and of course it also records audio. If it’s not recording audio properly then go to Sound Settings and correct the input device settings for audio recording. The user interface seems little confusing (you may need to provide the save as location and file name first before starting recording process) but it works fine. If recordMyDesktop doesn’t work for you, then you may want to try Eidete. It’s a very simple application but it works great (I’ve tried in Ubuntu 12.04). It has some awesome features like – tracking mouse clicks, colored circle for mouse movements etc. Here is another one (probably the best) : SimpleScreenRecorder. It has simple and easy to use UI and lots of features to control the quality and recording experience. In my experience, it’s the best one.